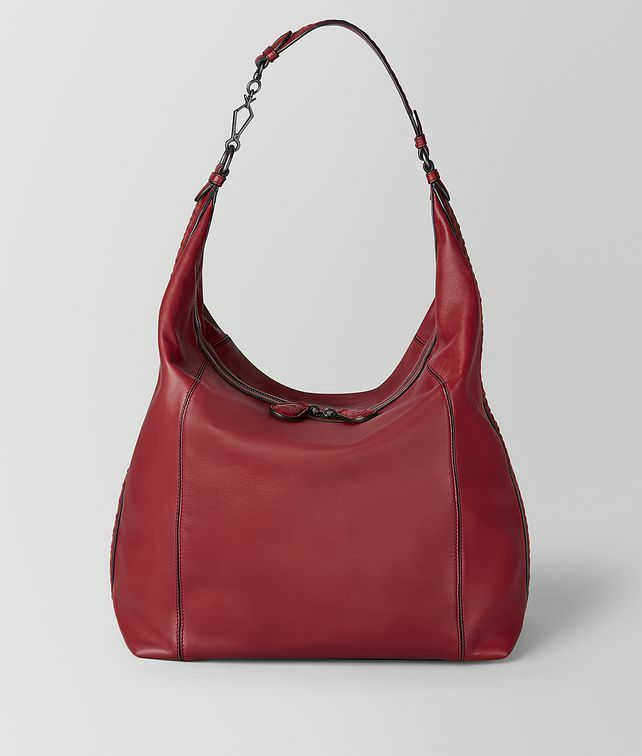 Incredibly luxurious and highly functional, the MI-NY bag is ideal for women on the go. Crafted from ultra-soft butter calf leather and detailed with a thin intrecciato panel along the sides, the hobo style features a capacious interior with one zipped pocket and one flat pocket. Finished with an intrecciato shoulder strap, oversize hand-woven zip pulls and brunito accents.